Edinburgh Marina Ltd: Granton is well placed for yachtsmen visiting the Forth as a destination or in passage north or south. It is one of the few places to stop over between Blyth and Peterhead. It is well placed for, although it is some 20 miles from the mouth of the Forth, it is a good stopover to visit Edinburgh. 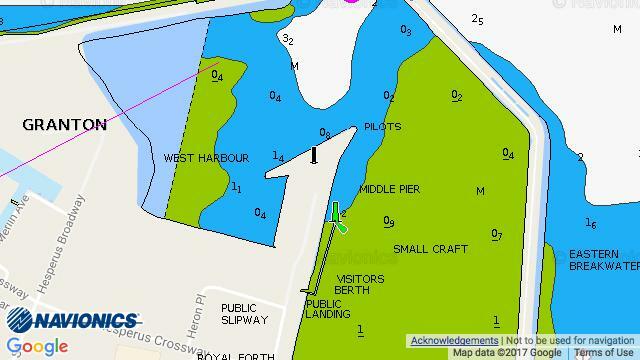 Edinburgh Marina is jointly owned and managed by FCYC and RFYC. Although the facilities may be limited, it does provide all tide access for most craft and a warm welcome awaits at the nearby yacht clubs. If staying for a week, the seventh night is free.